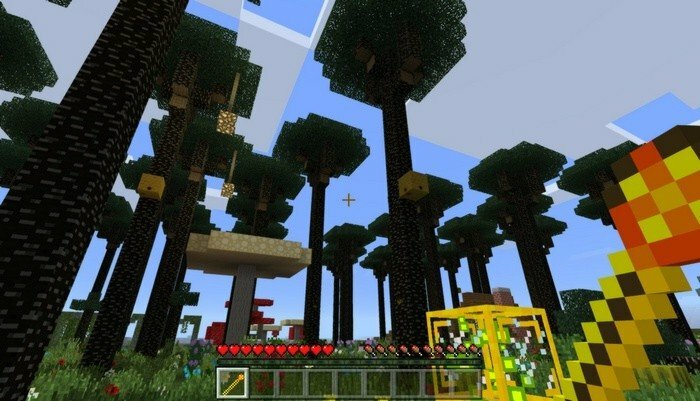 Twilight Forest - is a new dimension, that will be added into Minecraft PE, inhabited by unique creatures. For now on it's limited amount of world, that will look like original Twilight Forest from PC version. 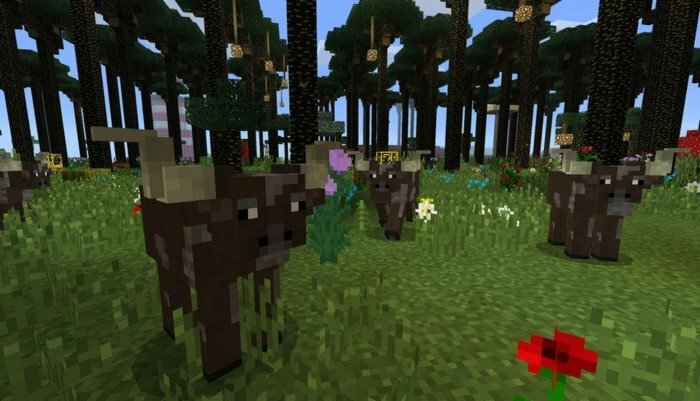 Most part of the textures were changed, including animals and blocks. 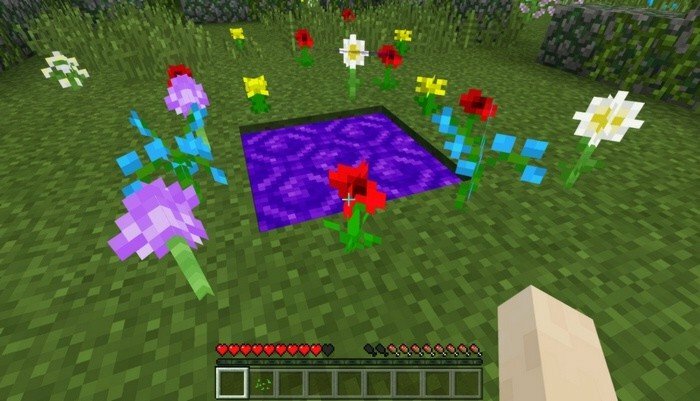 The forest is not really big, you can find there all you needed to survive, you can also find portal that will teleport you into the Nether, which looks different either. A few times while i was playing mod it became buggy and textures were not changed, but relogin will fix this issue. 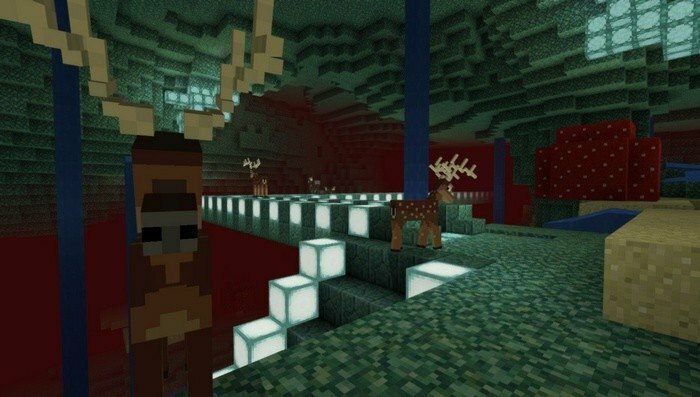 Nether in this mod looks more like Ocean monument, because was built by using the same blocks. Its borders is also limited and i didn't manage to find a portal to go back from there.